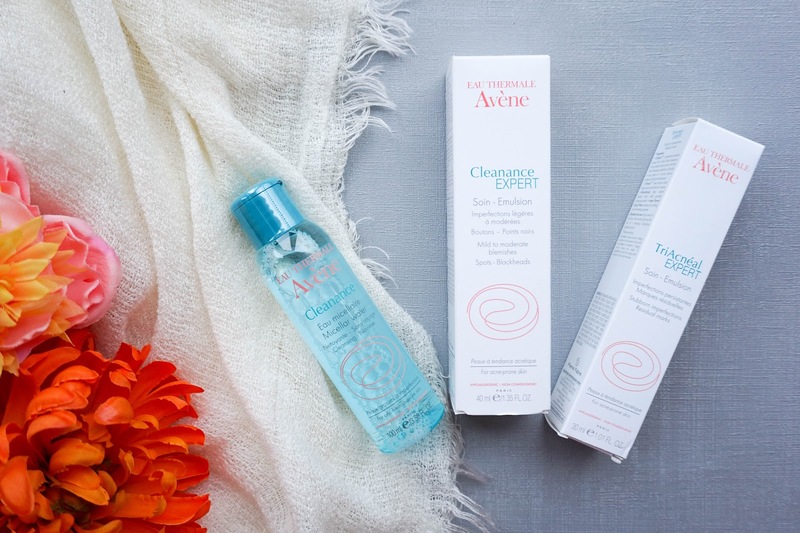 Last week I was lucky enough to attend an evening with french skincare brand Avène, organised by the lovely Hayley from London Beauty Queen along with the team behind the brand. I had so much fun on the night, getting to know other bloggers, enjoying the most delicious meal at Aubaine Restaurant and of course most importantly finding out all about brand Avène, which I was aware of but hadn't actually tried before. The main reason behind the event was to focus on acne prone skin and the brand's most recent product release, TriAcnéal EXPERT. I personally don't suffer with this kind of skin type, I never really have in the past either to be honest but it was amazing to learn so much about this topic, it really opened my eyes and made me understand this skin condition in so much detail. What I was most surprised about finding out is that acne can happen at any age (it's not necessarily something that only happens in your teenage years) and adult acne is becoming more & more of a skin concern. The idea behind the whole evening was that you are #NeverTooOld, which I loved as everyone was able to share their stories & talk about this topic that is not talked about very often. 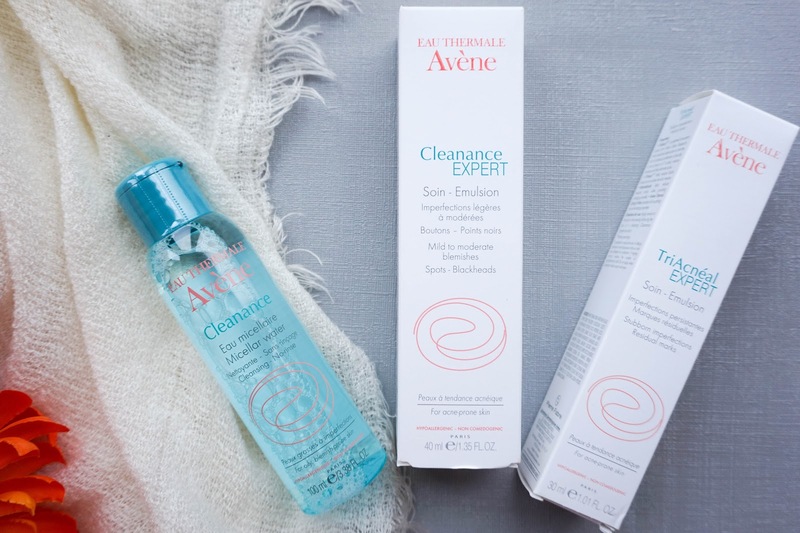 Avène brand have a wide range of products available for all skin types, so I was really happy to see that I could benefit from them as a brand using products specified to my dry & dehydrated skin. In particular I have been loving the two products that were included in the goodie bag from their Hydrance Optimal range. To start off with the Hydrance Optimal Hydrating Serum is absolutely fantastic, I've only been using it for just over a week now but I already love it. Two pumps is all I need in the morning for instant hydration, as my skin absorbs every single trace. This water-based serum also feels very soothing, as it calms down signs of redness & plumps up the skin beautifully. The other product from this hydrating range is of course one of their best sellers, Eau Thermal Water Spray, which is essentially water in a can but with a difference as the water is sourced directly from Avène Thermal Springs (South of France... Yes Avène is an actual place, was I the only one that didn't know that?!). Unlike regular tap water this product has a low mineral content and a neutral PH, which can comfort skin irritations, be used as a toner for even the most sensitive skin types & to generally refresh the skin any time of the day. I have been using this right after cleansing my skin in the morning & before applying serum. It just gives my skin that dewy finish and the super fine mist is a pleasure to use. Now onto the Cleanance range which is what the post is all about really... I haven't tried any of the products on my skin personally as they're just not suited for me, but I was able to listen to some amazing stories on the night from people using the range with fantastic results. To top it all off there's a lot of scientific research along with clinically proven results to back everything up. I was amazed to learn that the brand put their profits into research and studies rather than advertisements, because they want to make sure they are bringing out the best possible products. If that wasn't enough did you know that Avène is actually subscribed by GPs and dermatologists in France?! I think that's amazing. 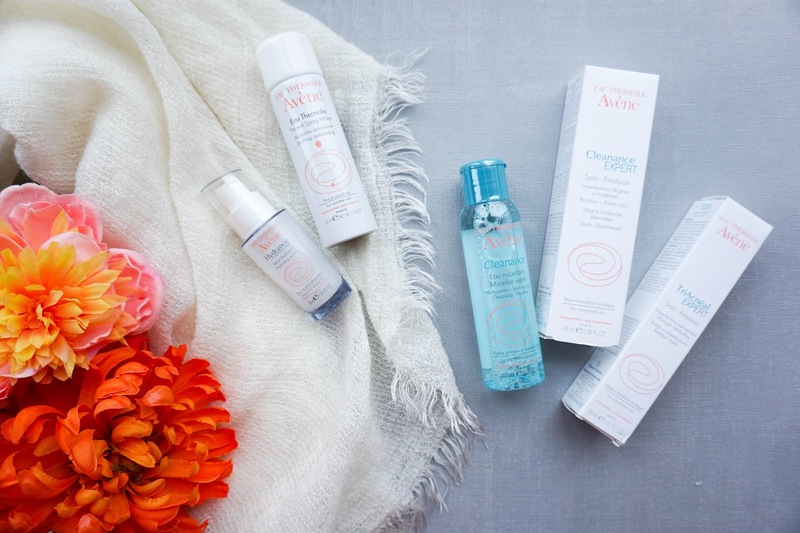 As I mentioned in the introduction, the latest product release is the TriAcnéal EXPERT, which is essentially an evening moisturiser. It is aimed at targeting blemishes and marks, whilst improving the first signs of ageing at the same time. 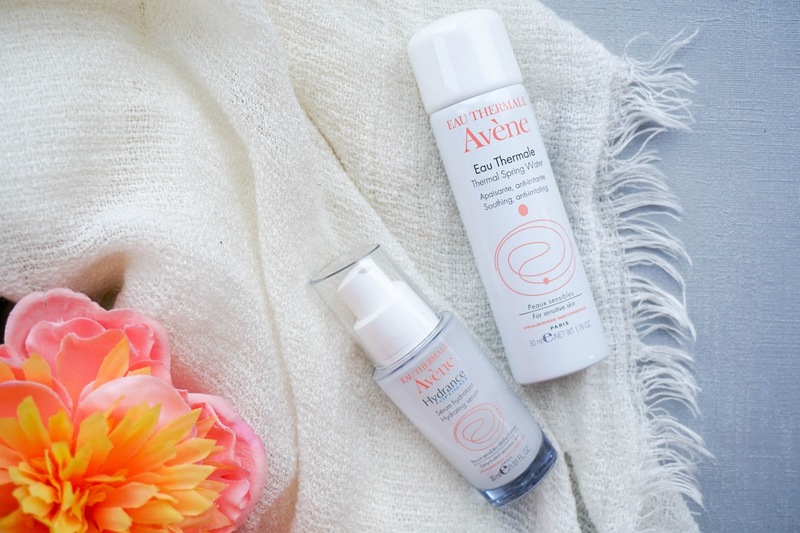 I'm not too sure if there's a product like it on the market which is specifically designed for people suffering with adult acne, so it's great to see that Avène have brought this out. The other product from the range, that we touched base is their award winning Cleanance Expert, which is best suited as a day moisturiser. It targets the main causes of spots, whilst regulating oil production to mattify the skin. The best part is that the ingredients within are also suitable for sensitive skin, as it soothes redness & inflammation. The last product included in my goody bag is the Cleanance Micellar Water, which is a non-rinse makeup remover that not only eliminates impurities but also controls excess sebum. I swear by micellar water in my routine, but once again I wouldn't use this as it's directed towards oily and blemish prone skin. Since I can't really make use of the Cleanance range myself, I've decided to host a little giveaway for someone that might truly need to use these kind of products. So if you suffer with oily & blemish prone skin, or you know someone that could use this trio, make sure to enter below. The giveaway is only open to Europe (no international entries please) as I will be posting out the parcel myself once the 2 weeks have ended & the giveaway comes to a close. As usual all requirements are in the Rafflecopter gadget below. Good luck everyone!